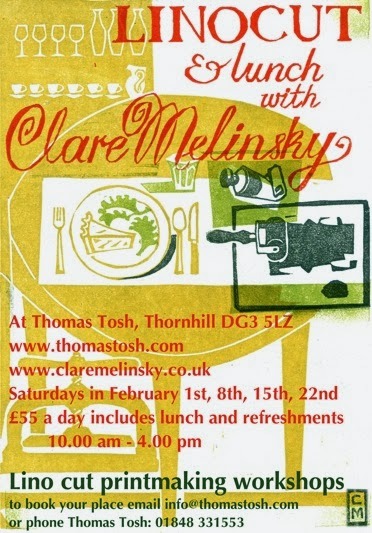 Clare Melinsky, the highly regarded and much published linocut artist, is holding a new series of workshops at Thomas Tosh in February. 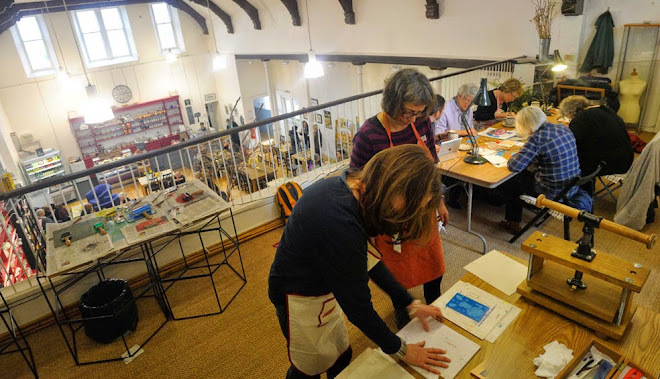 Clare, who has illustrated numerous books, will be holding the workshops each Saturday in February (1st, 8th, 15th, 22nd). They cost £55 each and include lunch and refreshments, with room for 6 people each session. You can just try one session, or maybe build up your skills over a few. And they would make a great Xmas gift, so Clare has created unique gift tokens for the workshops. The Duke of Buccleuch delved into his family's history on Tuesday 19 November at Thomas Tosh. Duke Richard was the guest speaker of the Thornhill Heritage Society. The Duke gave a richly illustrated talk about his eighteenth century forebear, the third Duke of Buccleuch, Henry. Henry's tutor was Adam Smith, the giant of economics, and author of the Wealth of Nations. Smith took the future Duke on a tour of Europe that saw them meet Voltaire, a philosophical superstar in Europe. Duke Richard said it was very special to think of his forbear as a ward of Smith meeting Voltaire. The current Duke also talked about how he was working to ensure Adam Smith's legacy, with recent trips to Hong Kong and South Korea. The Duke also showed images of Dalkeith, home of Henry, and Boughton, both still part of the Buccleuch estates, along with local Drumlanrig Castle, near Thornhill.